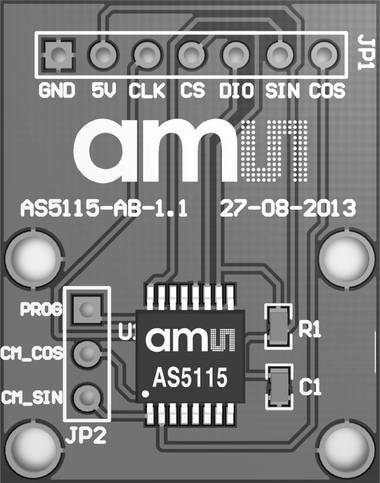 The AS5115-AB adapterboard allows you an easy-to-use evaluation of the principle function of the AS5115 magnetic position sensor in your own system design. This small factor board includes the position sensor with its necessary external components. All relevant signals are available on a 2.54mm header footprint and can be easily wired to your own application.